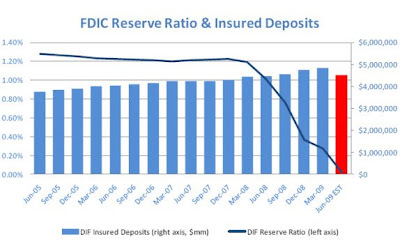 Doug Ross @ Journal: Financial Crisis "May Not Peak For Another Five to Six Years"
Financial Crisis "May Not Peak For Another Five to Six Years"
With the most recent bank failures, the FDIC is out of funds. The FDIC is levying a one-time fee on member banks to cover the shortfall, but it will not be enough and it punishes the prudent. 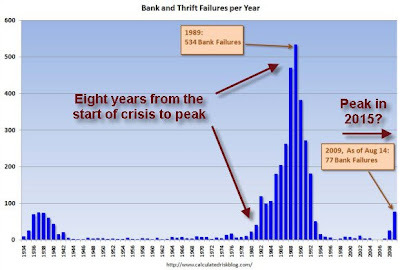 The FDIC has been suspiciously slow at shutting down banks that have admittedly already failed. Banks have been allowed to overestimate the actual worth of their assets using "mark-to-fantasy" accounting. 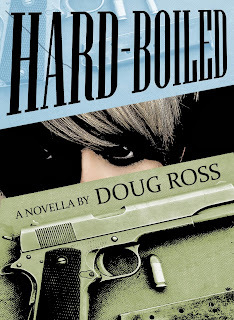 Hundreds of banks are likely already mortally wounded and set to fail. The FDIC means well, but creates a moral hazard the effects of which now haunt us. Before you call Martenson overly paranoid, consider the basic tenets of his argument. 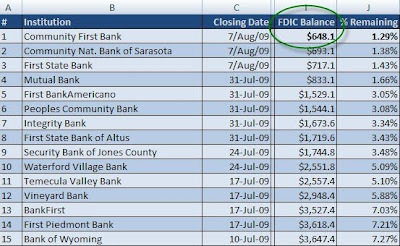 These five banks represent liabilities to the FDIC of approximately $3.7 billion, which turns out to be about $3 billion more than the FDIC has on hand. Seeing that the DIF balance would soon be depleted, Sheila Bair -- head of the FDIC -- announced their intent to levy a one-time surcharge on member banks to rebuild the balance sheet. Smaller banks sounded the alarm, accurately pointing out that they were being punished for their conservative approach while the Wall Street fat cats and "too-big-to-fail" types were rewarded for taking (and losing) outrageous bets. The President of the Independent Community Bankers of America (ICBA) likened the FDIC's one-time fees to Japan’s attack on Pearl Harbor: the charges are not just unfair, they cripple local economies; each "dollar sucked out of a small bank represents eight dollars of loans that cannot be made into local communities." The FDIC is out of money, which may explain why the second-largest bank in Texas, Guaranty Bank, has not yet been shut down. Late last month, Guaranty reported to the SEC that it is "critically under-capitalized" and that "it is probable... it will not be able to continue as a going concern." Sounds like a problem, yet the FDIC hasn't shuttered it and the 150 other banks like Guaranty -- because it just doesn't have the money. Even with the one-time surcharge funds arriving on 9/30, Martenson anticipates that bonus will only last the FDIC another two or three months. Even more troubling: banks' assets, as distressed as they are, have been dramatically inflated by "mark-to-fantasy" accounting wizardry. That means the FDIC's real losses will be larger in real life than they appear in the rear-view mirror. Furthermore, the much smaller S&L crisis that began in 1980 took eight years to peak and another four years to completely unwind. Martenson predicts that the banking crisis "has a long way to go". History could be telling us it will take another another five or six years to peak.